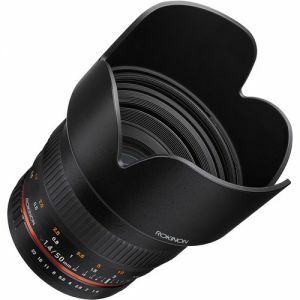 This is Samyang's version of a 50mm F1.4 manual focus lens for the 24x36mm full-frame format. It features 9 lens elements, one of which is aspherical. Pros: Wide max aperture, Bokeh rendering, Overall image quality, Aperture rings means the lens can be easily adapted to mirrorless cameras. On a full frame camera it's a no-brainer. I'm surprised people don't talk more about this lens.